Spread – The most versatile collar. Looks good with or without a suit jacket. Widespread – More aggressive than the normal spread. Looks great with a tie. Best for dressier occasions. 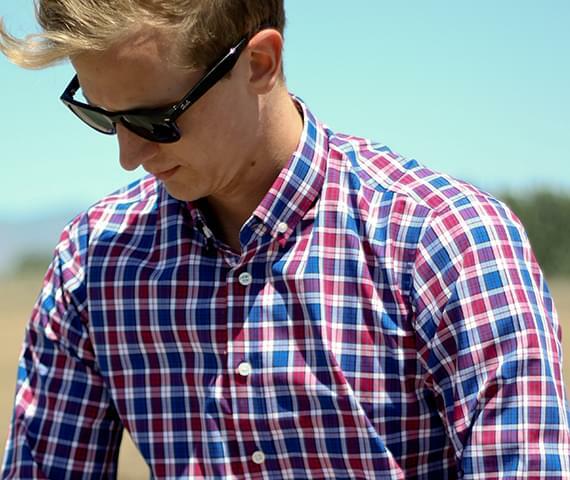 Pinpoint – The All-American collar. This wouldn’t be our first choice… But if you pke it, then that’s cool! 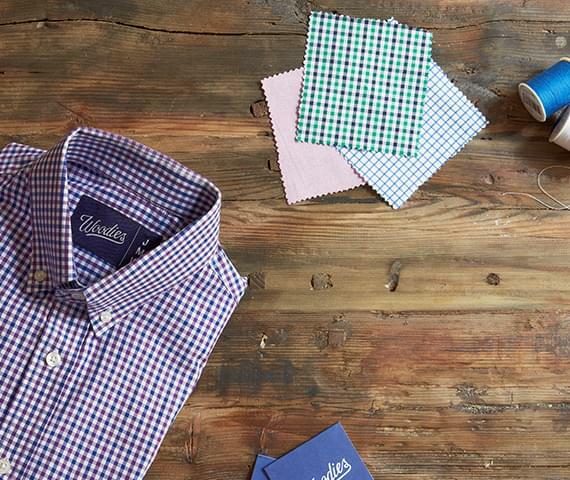 Button Down – Great for shirts worn without a jacket. A more casual collar for pfe in or outside the office. Mini spread collar – The spread collar with an inch taken off. A contemporary twist on a classic. Mini button down – A modern perspective on the button down. We’d recommend this for the weekend or after work party. Single-button Barrel – This is the most versatile cuff. The majority of shirts are single barrel. Double-button Mitered – This cuff is a little more contemporary. Recommended for guys that are fashion forward. French – The dressier option. These cuffs are worn with cufflinks. Definite recommendation for anything formal. Pockets can be cool, they can also be for geeks. Generally, the more casual a shirt is the more accepted it is for a pocket. If you’re dressing a shirt up Woodies would never recommend a pocket. Want to make a statement? Add a monogram to the outside of your shirt for another level of personalization. We guarantee a perfect fit. The blue denim shirt is a restocked fabric from our early days. 100% a classic. 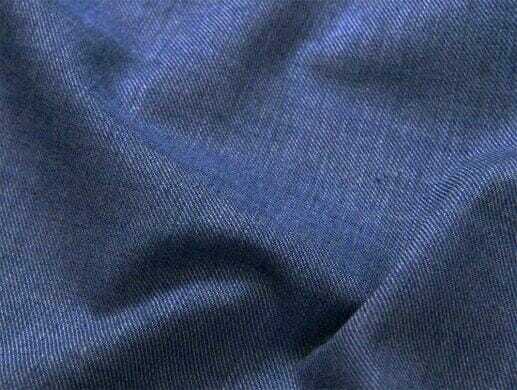 The fabric has a slight sheen that elevates it's look, and keeps you sharp. 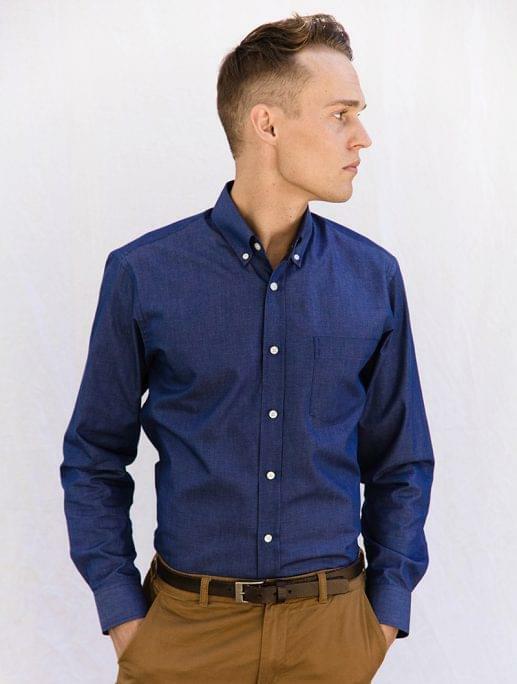 Popular Customizations – button down collar, single button barrel cuff, no pocket. 100% cotton. 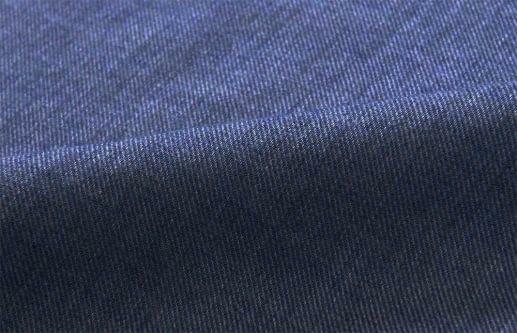 Twill with 50s single ply weaving. We stand for quality, and no detail in production is overlooked. Our talented team of tailors hand sews each garment, and a separate team checks for any imperfections. If you’re not 100% happy with your Woody we’ll alter or remake it – on us. 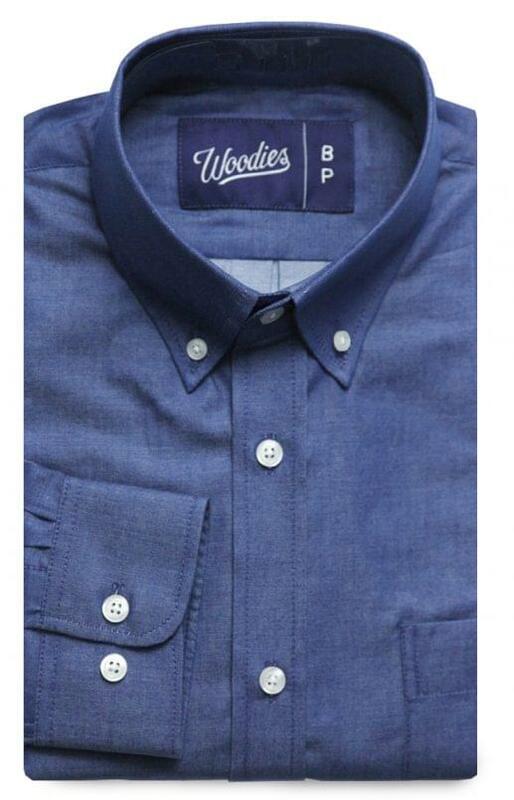 At Woodies our priority is making the perfect garments, made to fit you. If on your first order there are any adjustments that need to be made, we’ll take care of them. We have a knowledgeable crew who will walk you through the process. We’ll update your sizes and you’ll be ready for your next order. Giving back is part of our culture at Woodies. 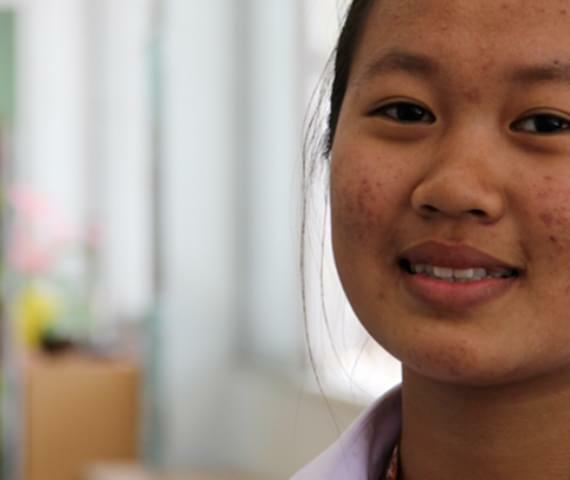 A portion of the profits from every garment we make goes to The Foundation for The Education of Rural Children in Thailand. © 2019 WOODIES. ALL RIGHTS RESERVED. Please log in with your email address. With a few simple questions we’ll set up your size profile. We use advanced algorithms to calculate your sizes, and we guarantee a perfect fit. Your height and weight play the biggest role in our sizing algorithm. Round up to the nearest 5 lbs if you haven’t jumped on the scale recently. Be honest with your weight! We keep all sizing info confidential. Your clothes (tops and bottoms) are totally custom and are based solely on your sizing. The fit you choose determines how close to your body, your clothes will fit. Extra Slim is the tightest and Regular being the least form fitting to your body. We recommend slim for most guys - it’s a handsome fit that isn’t too snug, but still flattering. That first number is your neck size. 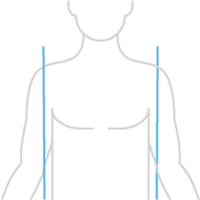 Neck sizes usually range from 13.5 - 15.5 on the small and anywhere from 17.5-19 on the larger side. The average guy is about 16-16.75 in the neck. That second number is your sleeve length. 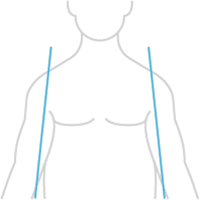 Sleeve Length ranges from 32 - 33 on the small and anywhere from 35.5-37 on the larger side. The average guy is about 34-35 in the sleeves. WHAT IS YOUR AVERAGE PANT SIZE? PANT WAIST SIZE * ? That first number is your waist size. 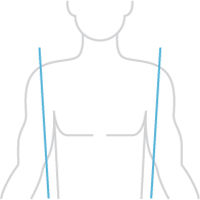 Waist sizes ranges from 29 - 30 on the small and anywhere from 37+ on the larger side. 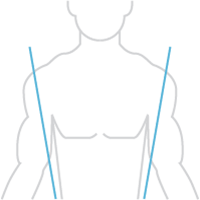 The average guy is about 32-36 in the waist. That second number is your inseam. Inseams range from 28 -29 on the small and anywhere from 35-37 on the larger side. The average guy is about 30-36 in the waist. WHICH BEST DESCRIBES YOUR LEGS? ? Based on your height and weight, how would you classify your legs? WHICH LEG OPENING DO YOU PREFER? ? How slim/loose do you like the leg opening of your pants? Need clothes but not sure about the fit? With Woodies we guarantee a perfect fit. If you’re not satisfied with your first top or bottom, we’ll send you a complimentary remake.